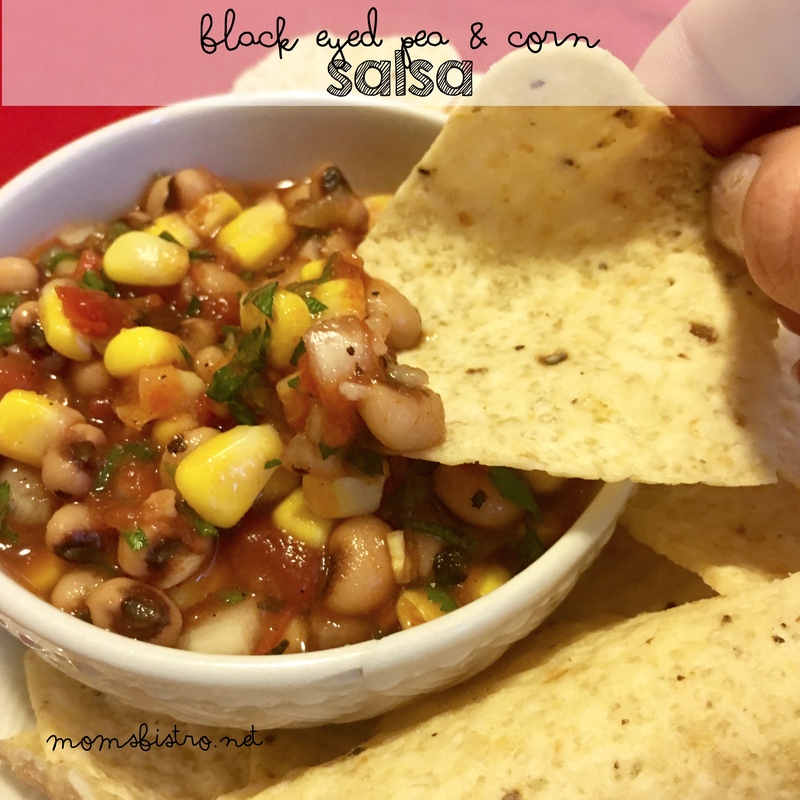 Crispy on the outside and light and fluffy on the inside. 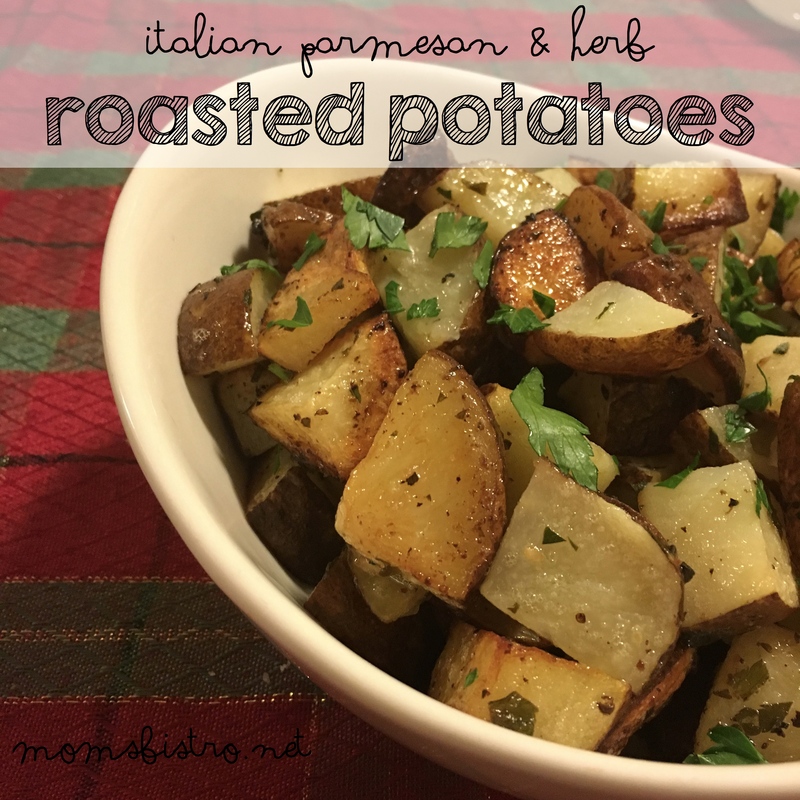 These Parmesan and Herb Roasted Potatoes are absolutely delicious, and make a great addition to any meal. 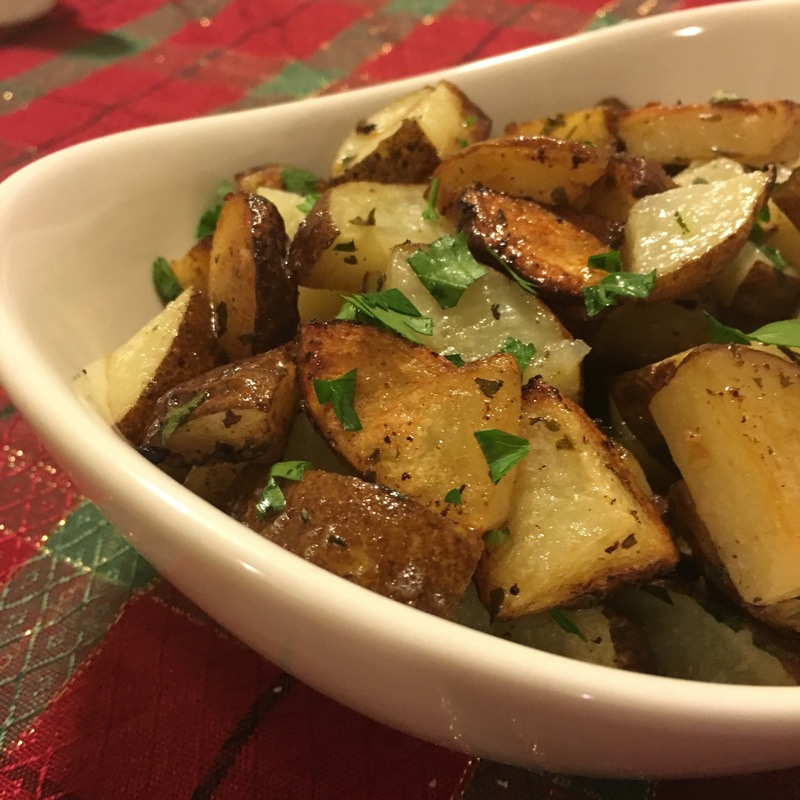 Roasted potatoes were a staple in our home growing up. I always loved the butteriness of the potatoes, and even though my Dad did dip them in ketchup (barf! ), this was one vegetable he’d eat. 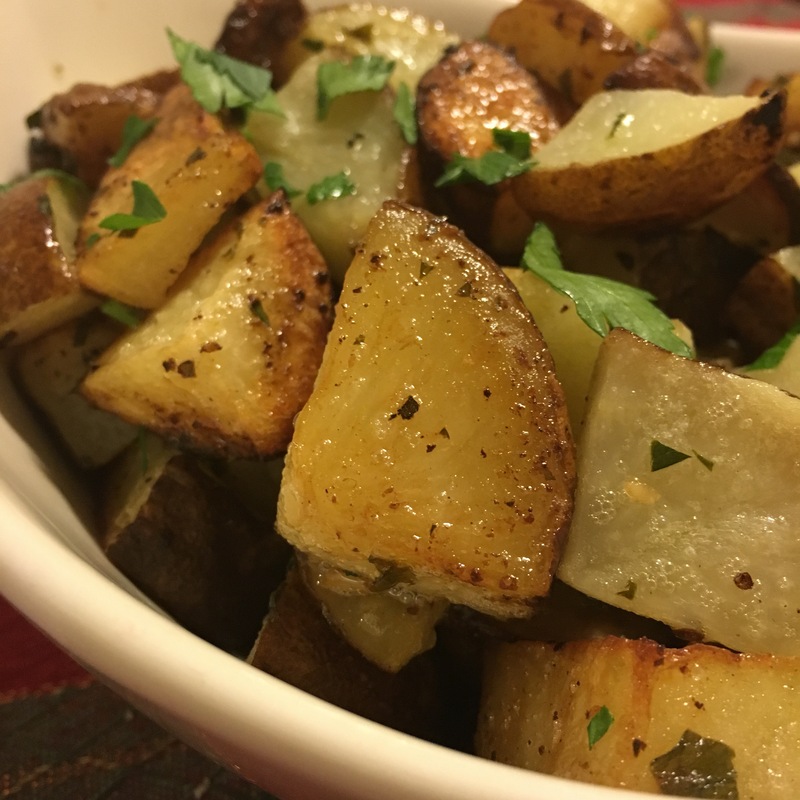 Roasted potatoes are so simple to make and they accompany any dish you want perfectly. 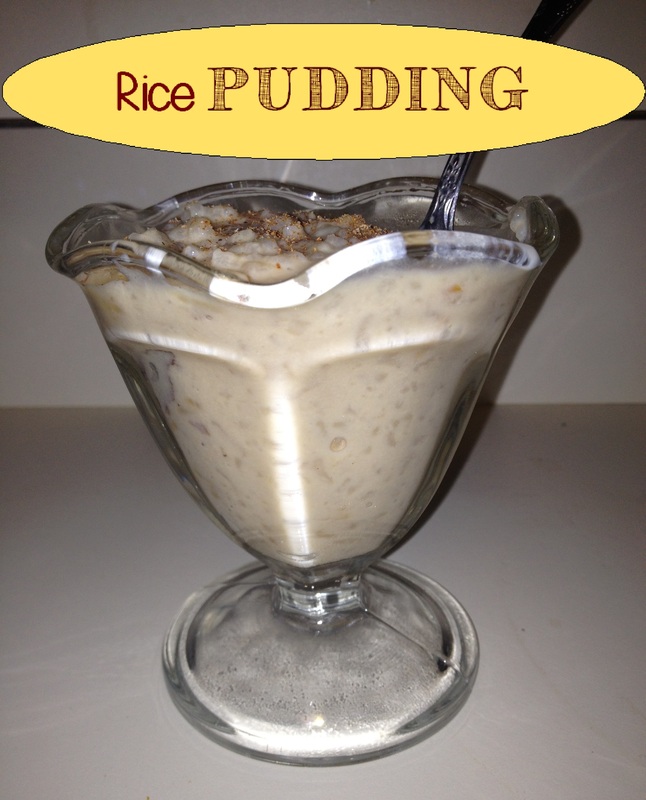 Whether if it’s for a Christmas Dinner or for a week night meal, you’ll please everyone with this recipe. 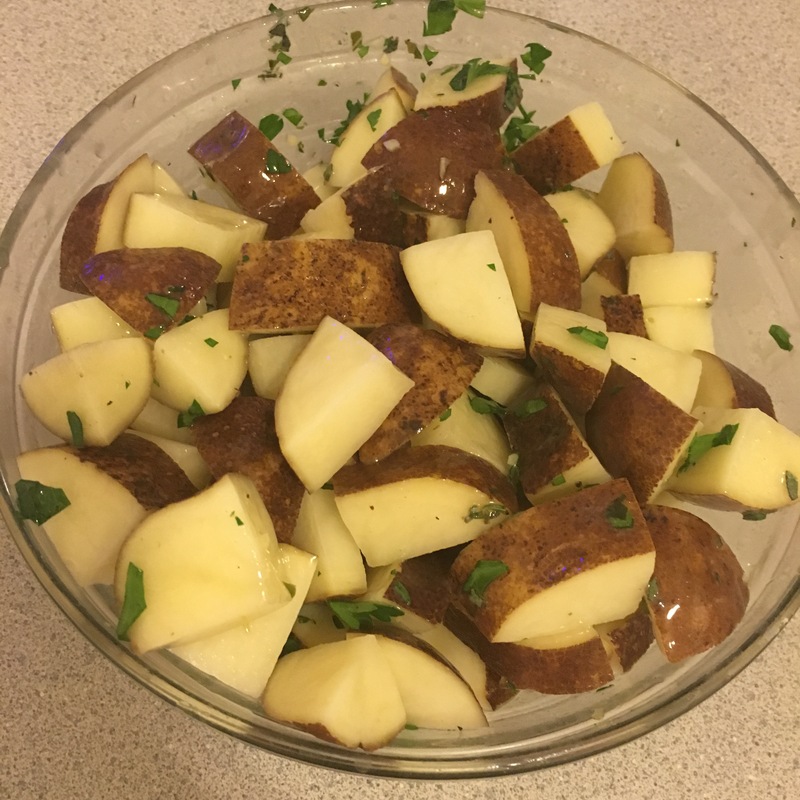 In a large bowl, soak diced potatoes in water for 10-20 minutes. 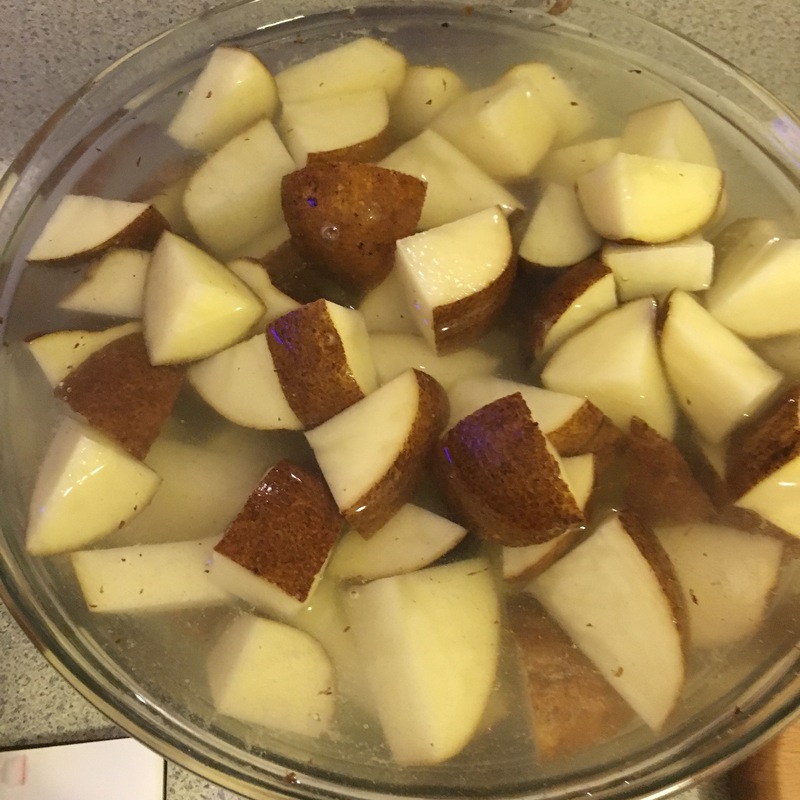 This removes some of the starch and makes the potatoes extra crispy. 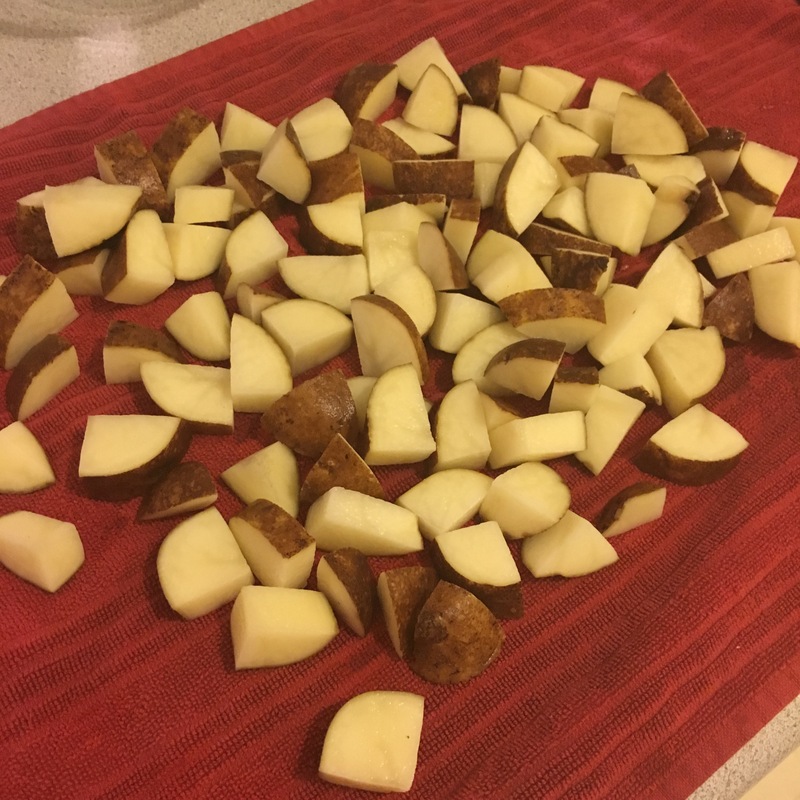 Drain potatoes, and dry on a clean kitchen towel. 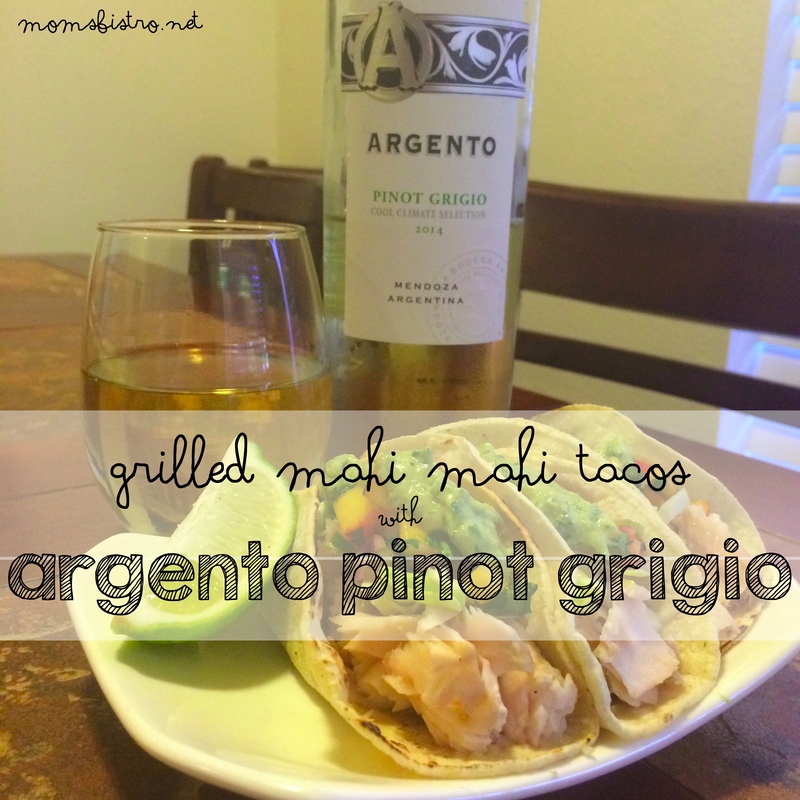 Mix melted butter with fresh herbs, salt and pepper and parmesan cheese. 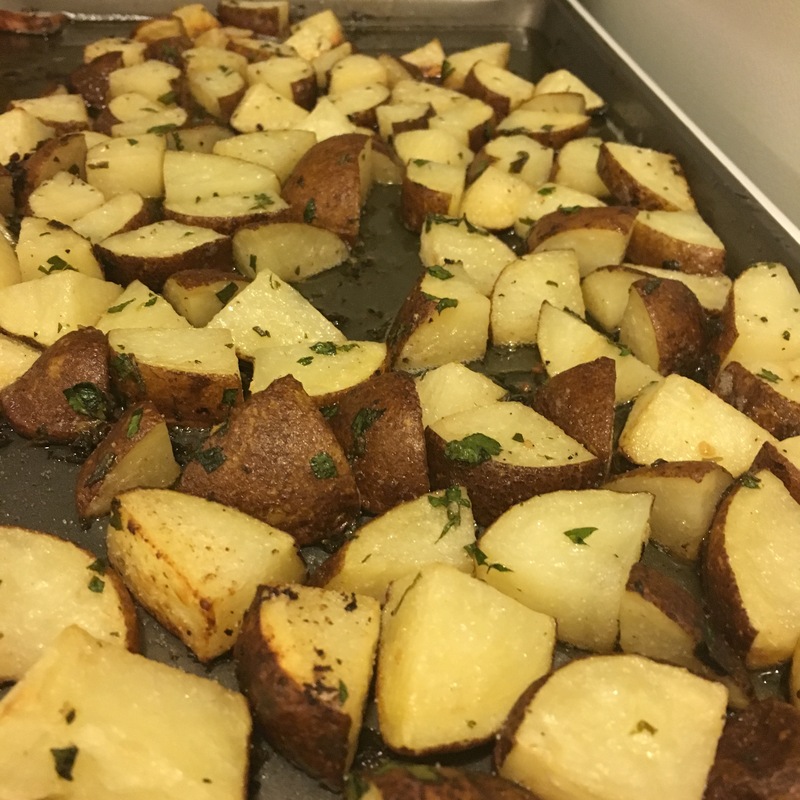 Toss potatoes in melted butter and herb mixture and transfer to a baking sheet lined with parchment paper. 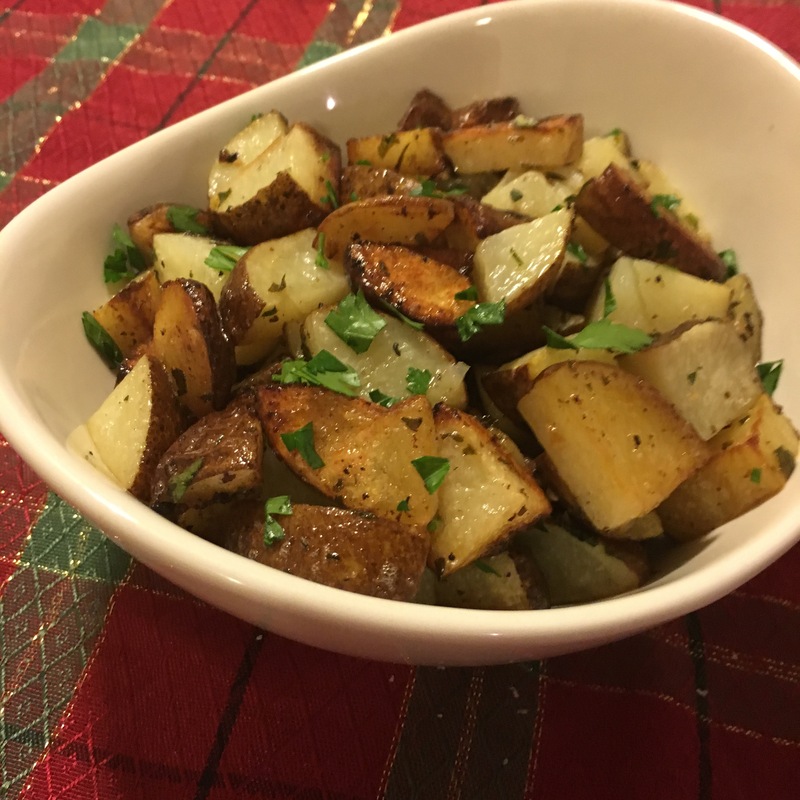 Bake for 25 minutes, toss potatoes to ensure even baking and bake another 10 minutes. 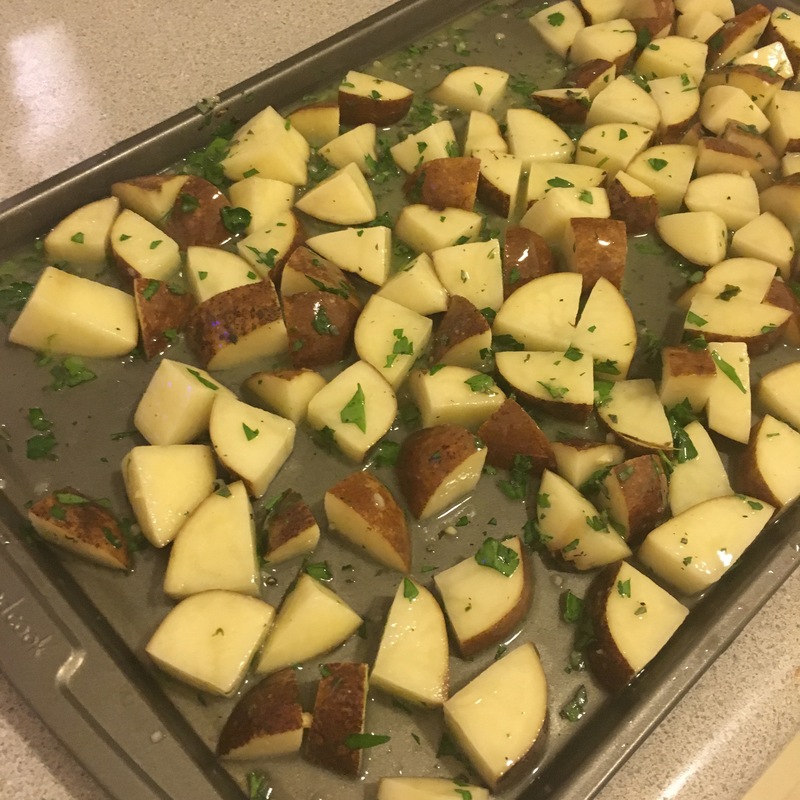 Remove from oven and top with fresh parsley and more parmesan, if desired.